A lot of JDM imports have poor quality window tints, if you want to clean yours up then check out our window tint removal tips. Car window films don’t last long and need to be removed as it deteriorates with age. Even the best car window tint will start to deteriorate on the day! There are two signs of failing window tints: purple film and bubbling film. The film fill gets purple with each passing time because the non-metallic dyes in the film start to breaking and changes to purple. The adhesive used to apply the tint to the window is failing, this starts to appear bubble in the film! 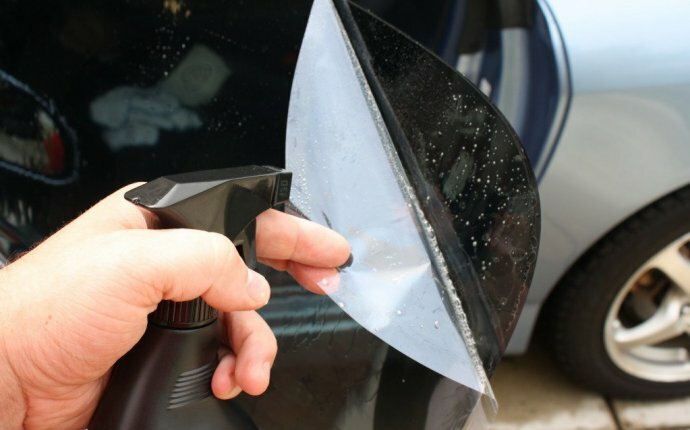 However, here are 6 DIY ways to remove your window tint from your car at your home! First get two black garbage bags and cut it in the shape of the window. Spray water on the outside of the window and cover it with one garbage bag. Smooth the surface flat. Now, cover the inside of the car like speakers, rear light, upholstery surfaces using a tarp. Spray the ammonia to the window tint after wearing a face mask. After that, seal that side of the window using another trash bag. Let it rest under the hot sun, as it will help the film peel off in one piece. After leaving it about 1 hour in the hot sun, use your fingernail and try to feel the film off in one entire piece. After removing it, clean the window using a glass cleaner. This the easiest way to remove the window film. Buy a steamer from the market and fill it with water and steam it onto your window. As you steam, you’ll notice that the glue is melting and the tint will peel off like cellophane. After removing the film, use adhesive remover and wipe clean the window. Make a soapy solution and apply it to the window tint, cover it using the newspaper. Leave it for about an hour, you can reapply the soapy solution to keep it moisturized. After that, using a razor-sharp blade or tool, scrape off the top layer of the tint with long strokes. Clean the window using a cloth! Another option to peel off your window film is using a heat gun or hair dryer. Just like a steamer, heat gun or hair dryer will melt down the adhesive and you can peel it off easily. Wipe off the glue using a towel and then clean it off with a cleaning solution. If none of the above methods work then you can use this one. This method is a bit time-consuming. All you need to do is cut a small part of the window tint using a sharp tool! Peel the tint from that part and spray the adhesive with soapy water and scrape off the adhesive as well. Repeat this process until all the film from the window peels off! Another effective way to remove window tint is using chemicals. You can buy these chemicals from any hardware store. All you need to do is apply a small amount of chemical on a cloth and whip it over the window tint. Let it rest for about 10-15 minutes and peel it off using a sharp tool. After the film peels off, wipe clean the window and voila! Your window will be clean like a new one! You can use these tips to get off your window tint but if you still can get it off or you are afraid to get scratches on the window then you can get professional window tinting help from the experts!